This year the snow clearance operations on Manali Leh Highway for the season 2019-20 has not yet started from Manali or Keylong side. But it looks like the snow clearance will begin in a week’s time if the weather holds up. It means that the butterflies in the stomach of all the adventure enthusiasts planning their upcoming trip to Leh – Ladakh in 2019 will be more frequent 🙂 🙂 … The Manali Leh Highway Status 2019 is still closed but BRO is going to start the snow clearance operations from Gulaba towards Rohtang Pass on Manali side and from Satingri towards Tandi – Sissu on Keylong side. You might also be interested in tracking the road status for Srinagar Leh Highway. When will Manali Leh Highway opens in 2019? After offering prayers, BRO will commence the snow clearance operations and they will target to open Manali – Rohtang Pass – Keylong route as soon as possible to support the locals. According to the sources, BRO will start the operations to clear snow in Lahaul Valley first in next couple of days. This will help them connect the Rohtang tunnel with the rest of the major villages in Lahaul Valley. After a week or so they will start clearing the snow on Manali Leh Highway if weather holds up. There has been a decent snowfall this year in the entire Himalayas but snow seems just enough to let the Manali Leh Highway open by mid to end of May. As per the authorities, there are about 30 feet of snow stretches that have to be cut around Rohtang Pass and about 10-15 feet is around Beas Nalla only. When does Manali Leh Highway opens usually? This 474 KM long Manali Leh Highway usually opens up by last week of May or first week of June and I do feel that this year it may open my mid-May or third week of May. It has been a norm that we set up the targets to open the highway early only to realize that weather has the last laugh. I have been watching it for the last 10 years now and this year as well I don’t expect major changes. Eventually, it will all get down upon the weather and snow conditions in the months March / April when snow clearance operations are at peak in many parts of the Himalayas including this belt of Himachal Pradesh too. Should I travel on Manali Leh immediately after road opening? When making a road trip to Leh Ladakh over Manali Leh Highway, you must keep in mind that even when the road from Manali to Leh opens, it takes some time to get them stabilized. Due to snow sliding and loose gravel, the roadblocks are very common in the initial days. Hence, it is recommended that you wait for a couple of weeks before planning the trip on Manali Leh Highway after its official opening. 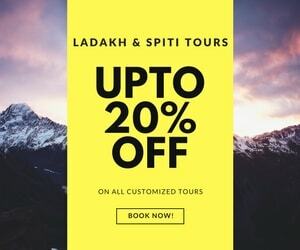 The last thing you will want on your much awaited Leh Ladakh road trip is to get stranded on some lonely yet feezing stretches of Manali – Leh Highway in early June or late May. Where can I track Leh Manali Road Status 2019? As per the previous years, I will be starting this sticky post for Manali Leh Highway Status 2019 which so many adventure lovers await every year. Unlike the last few years, I will keep updating this article with the latest updates. Up until the last year, I used to update the progress in the DoW Community forums thread for better tracking of updates. I understand that a forum topic always helps in better tracking as well as collation of info over time in an organized manner. However, forum management has become a pain due to lack of team. Hence, for all updates on Manali – Leh Highway Status 2019 will be posted or updated in this article only. Will this thread have updated Manali Leh Road Status in 2019? However, if there is some major blockade of 3 – 4 days, I will try to surely update such information about Manali Leh Highway status 2019. 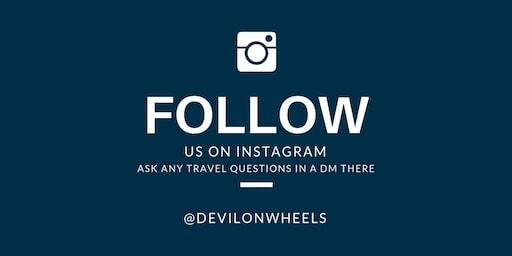 I hope as per the last years, this year as well this article thread will be useful in planning your journey on Manali – Leh Highway and further to Leh – Ladakh. If you are traveling from Manali to Leh over Rohtang Pass, you will need to get the permit for Rohtang Pass which can be applied online. The roads from Manali to Rohtang Pass is closed and so as the road from Rohtang Pass to Keylong. Similarly, the road to Leh Ladakh ahead of Keylong via Baralacha La is also closed as of today. Snow clearance operations have begun in full swing on Rohtang Pass starting 25th March 2019. BRO has put teams from both sides of Rohtang Pass to clear the snow as quickly as possible. Another team is working in the restoration of the Satingri – Darcha road towards the Baralacha Pass as well. BRO is trying best to open Rohtang Pass by the first week of May so that Lok Sabha polls can be taken care without many hassles for locals. However, it does not look like the snow clearance on Manali Leh Highway will complete before May end as per them. So, Manali Leh Highway is expected to open by end of May or starting June first week. 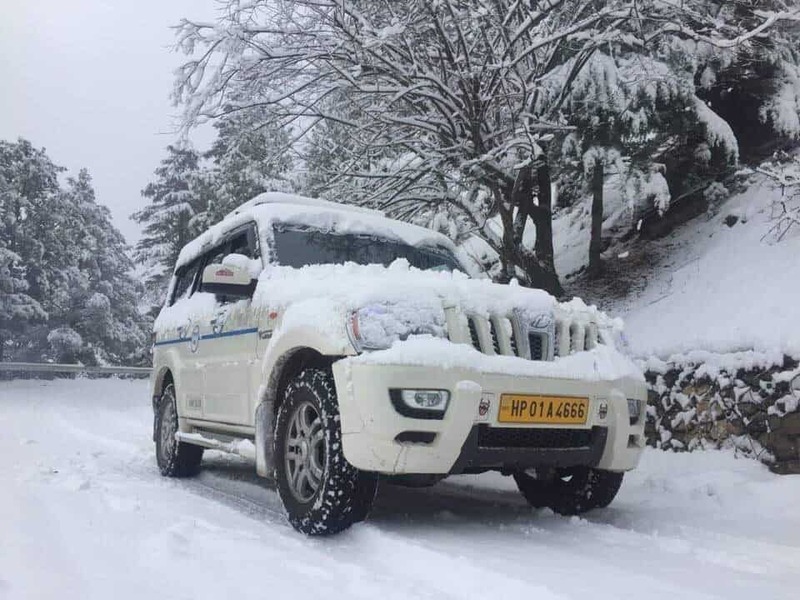 MANALI, 8th March, 2019: The BRO is gearing up to begin snow-clearance operation on the Manali-Leh highway to connect 13,050 feet high Rohtang Pass, gateway to remote Lahaul, with the picturesque valley. As soon as the weather improves, the BRO will start clearing snow from Gulaba towards Lahaul. The pass was closed to traffic in December last because of heavy snowfall, depriving the residents of Lahaul-Spiti connectivity with the rest of the state for several months. Internal link road of Lahaul Spiti are also blocked. This has paralyzed transportation badly in the district. Now with the weather improving, the residents of Lahaul have urged the district administration and the BRO to start snow-clearance operation on the Rohtang Pass allowing connectivity between Manali and Keylong. 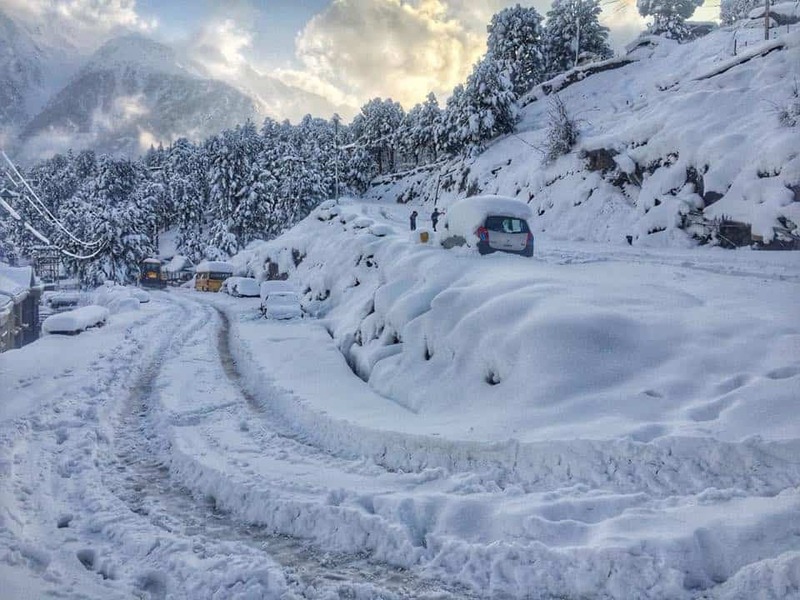 They have urged the Deputy Commissioner Lahaul-Spiti Ashwani Kumar Chaudhari to ask the BRO and the PWD to begin snow-clearance operation within the valley to connect link roads within the district. Tenzin Gyaccho, a Zila Parishad member in Keylong, told The Tribune, “Due to heavy snowfall this winter, life in Lahaul-Spiti has been badly hit. All internal links roads are blocked, which is giving tough time to the people of the valley. Patients are the worst sufferers because they could not be airlifted out of the valley for medical treatment due to bad weather. “Now as the weather has improved the people want speedy restoration of roads within the district and outside. It will be of great help to us to move in and out of the district”, he added. The DC Lahaul-Spiti had called a meeting of BRO and PWD officials at Satingri yesterday to discuss the issue. The DC said the BRO was going to start snow clearance operation in a day or two from Satingri toward Tandi and Sissu to connect the road with the Rohtang tunnel in north portal. The tunnel can be used for transportation of tribals between Lahaul and Kullu in emergency cases. Similarly, BRO workforce and machinery is moving from Udaipur ahead toward Kolang. Colonel Uma Shankar, BRO Commander, 38 BRTF, Manali said, “Snow clearance work on the Manali-Leh highway will start from Gulaba towards Rohtang Pass within one week depending upon the weather conditions. There is warning of snowfall in the coming days and we will observe the situation. As soon as the weather improves we will begin snow-clearance operation”.. I got plans to ride from manali to kaza through rohtang pass in the last week of may, mostly the 26th. Is it a good time for my plan to workout? Hi Dheeraj, I will be driving along with my friends of 10 members to Leh via Manali route. We will start our journey on 2nd June from Delhi and reach Manali on 3rd June .We Have a plan of Bhrigu lake trek for 2 days and on 5th june we are heading towards leh.Please suggest leh-manali highway will be opened or not at that time..